2017-05-14: RTH researchers discover ~500,000 conserved RNA structures (CRSs) in the dark matter of the genome by using an RNA structural alignment strategy of the vertebrate genomes. The discovered CRSs locate near known genes, regulatory regions and protein binding sites. Expression studies, especially a CRS targeting CaptureSeq experiment in human fetal brain, were employed to characterize the CRSs further. Read more in the paper here. RTH publishes a new RNA-RNA inter­action predic­tion method, RIsearch2, that can perform large-scale screens with an exceptional runtime. RIsearch2 together with its post-processing pipe­line is a state-of-the-art method for transcriptome-wide prediction of siRNA off-targets. Read paper here. 2015-05-13: Researchers lead by Prof Flemming Pociot from RTH publish the first paper on genome-wide tran­scrip­tome pro­filing of human long non-coding RNAs(lncRNAs) and protein-coding genes in Inflam­matory bowel disease (IBD). The identified lncRNA tran­scriptional signature and clinically para­meters suggest a biomarker po­tential in IBD. See the paper here. 2014-11-26: Researchers lead by Prof. Henrik Nielsen from RTH publish the first paper on profiling Ribose Methylations in RNA based on high-throughput sequencing. Whereas high-throughput methods has now been established for DNA, searches for RNA by high-throughout technologies is just emerging. Here the authors describe their method, RiboMeth-Seq, for discovery of one of the most abundant types of modifications in RNA. See the paper here. List of contents and link to the publisher here. 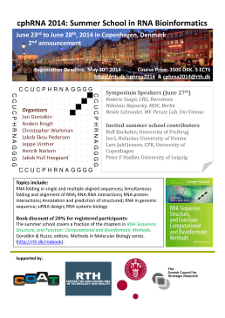 RTH and COAT are co-organizing a Summer School in RNA Bioinformatics. The event will take place on June 23rd to June 28th in the Copenhagen area. Details to follow. Program and application procedure will be made available here. 2013-07-29: RTH publish a new type of search for microRNA genes. In constrast to more traditional search strategies using the composition of the genomic DNA sequence, the strategy here directly aiming at exploiting the characteristic "finger print" microRNAs leave transcriptomic (RNA-seq) data. 2012-11-15: Through joint national and inter­national collaborations RTH contributes to the annotation of the porcine genome, constituting one of the largest efforts in annotation of noncoding RNAs in a single go in a released mammalian genome sequence. 2012-05-03: RTH PhD student Aashiq Hussain Mirza has been awarded the Poul and Erna Sehested Hansens Foundation Fellowship of 100,000 DKK. 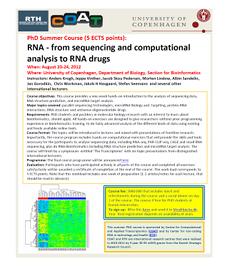 2012-03-02: RTH is co-organizing a PhD course on RNA sequencing and computational analysis together with Centre for Computational and Applied Transcriptomics (COAT). The course is held at Dept. of Biology, University of Copenhagen on August 20-24, 2012. The program is available here. 2011-01-21: The Center has received a supplementary grant of DKK 600 000 from the Strategic Research Council. The aim of this funding is to invite small and medium-sized enterprises to collaborate on a project entitled "Discovery of regulatory non-protein-coding RNA genes". Center for non-coding RNA in Technology and Health (RTH) opens. 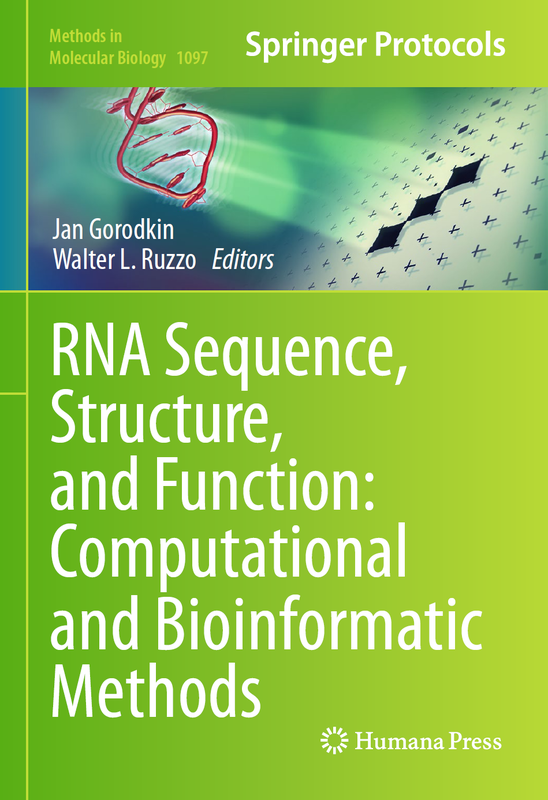 2010-05-01: The Center for non-coding RNA in Technology and Health (RTH) opens.